Mortgage lending hit a six-year high last year – but that’s not necessarily cause for celebration. While purchase lending was up for the second straight year in 2013, spiking 13% from the previous year, mortgages for owner-occupied homes were still below every year from 1993 to 2007, according to a Wall Street Journal report. And while lending increased, those gains were concentrated among the wealthiest borrowers. 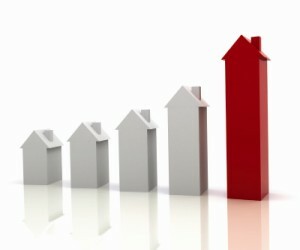 Loans to high-income borrowers spiked 50% last year, according to the Journal. Meanwhile, loans to low- and moderate-income borrowers were up just 7%, and the share of lending to those borrowers actually dropped last year. In 2012, loans to low- and moderate-income borrowers made up 33% of all loans made. In 2013, that share dropped to 28%. And low- and moderate-income neighborhoods actually saw purchase mortgages drop slightly in 2013. The Federal Housing Administration may have something to do with that. Steep increases in FHA fees have resulted in ongoing declines in the share of FHA-backed mortgages. In 2012, federally-backed home mortgages accounted for 45% of the market. That was down to 38% in 2013.